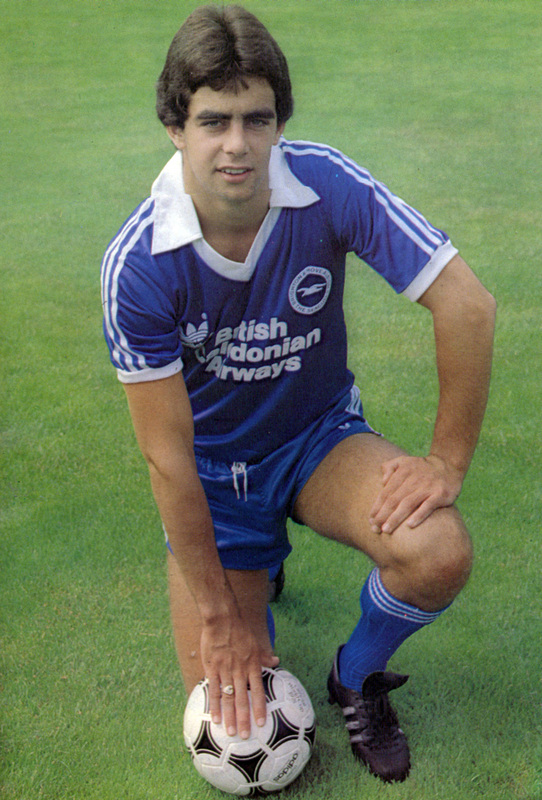 Ambitious Brighton defender Gary Stevens has mapped out his path to the top. Stevens, who has played more than 150 First Division matches is one of the most promising defenders in the First Division. Stevens recently made his first appearance for the England Under-21 side, helping the youngsters defeat Hungary 1-0 at Newcastle. “I am the sort of player who simply isn’t satisfied to jog along without success and ambitions. I’m very ambitious and I want to achieve things in the game,” he says. Transfer talk has already suggested Stevens could become a prime target if Brighton slip into the Second Division at the end of the season. His smooth, silky performances have been noted by some as displays of a future star. Stevens also wants to improve aspects of his own game, especially his pace. “I am working hard on it and it’s getting better. At the moment I am automatic choice for Brighton’s first team but I want to become an automatic selection for the England Under-21s and then for the full England team. “I’ve played four seasons in the First Division and have learned something every year. But I’ve benefited from Jimmy Melia’s appointment as our manager because he encourages me to get forward a great deal. Now Gary is hoping that next week’s FA Cup Final is just the first of many games at Wembley.